ILIGAN City–The mayor of Munai town in Lanao del Norte has hinted that his group is contemplating on going to court to question the outcome of Wednesday’s plebiscite in the province. 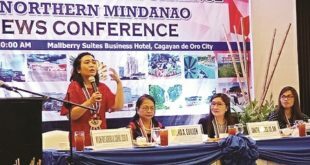 “There are still legal remedies,” said Munai Mayor Casan Maquiling after Lanao del Norte vote against the inclusion of six of its towns, including Munai, in the Bangsamoro Autonomous Region in Muslim Mindanao (Barmm). Maquiling said Munai and five others voted in favor of inclusion but the overwhelming “yes” votes were not enough. He questioned the “double majority” rule. The six towns — Munai, Tangkal, Tagoloan, Pantar, Nunungan and Baloi — voted “yes” but their votes did not offset for the “no” vote of the other Lanao del Norte towns. Only Poona Piagapo, Pantao Ragat and Salvador joined the pro-Barmm towns in voting “yes.”. Meanwhile, Lanao del Norte Gov. Imelda Dimaporo denied reports that there were business establishments that closed shop during the plebiscite due to security concerns. Dimaporo said what happened was that workers went out to vote. 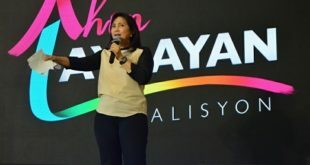 She also called on National Police Director General Oscar Albayalde and the military to extend the stay of security forces in the province.